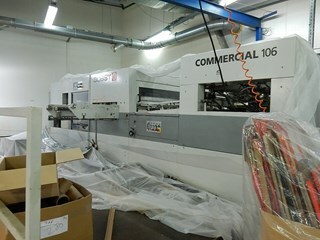 Here is a selection of used Bobst Commercial 106 machines available on PressCity.com. To see them all - click the "see full list"-button at the bottom of the list below. If your aren't looking for used Bobst Commercial 106 machines, but are looking for other used graphic machines, then please use the search form.